This book examines an opening which can be quite useful for beginners and amateur chess players. The gambit we will examine (1.e4 e5 2.Bc4 Nf6 3.Nf3 ? or 1.e4 e5 2.Nf3 Nc6 3.Bc4 ?) has been used by Paul Morphy among other strong players. In my view it is as good a gambit as most others. You won't find it on chessboards of grandmasters these days because White really cannot claim a serious advantage from this opening. Without doubt, White gets enough compensation for the pawn, but no more than that. For amateur use, this is enough, and it is also fun. The opening leads to exciting play with excellent attacking chances. The gambit can be used in the Bishop's Opening (1.e4 e5 2.Bc4) or against the Russian Game (Petrov: 1.e4 e5 2.Nf3 Nf6). It is important to remember that most amateur players have poor defensive skills. If a grandmaster has an extra pawn but pays the price of having the king stuck in the center for a while, that's not a big deal. However, failure to castle is one of the most common sources of defeat for most amateur players. 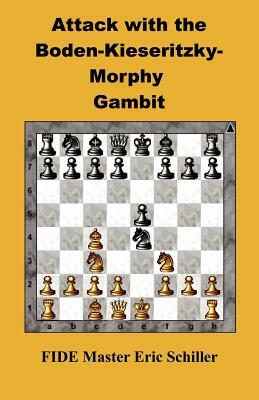 Therefore, as a practical matter, this gambit provides excellent opportunities for the first player to win the game. One of the key factors here is that the recommended lines for Black usually involve the advance of the pawn from f7 to f6. This creates a weakness which is easy to exploit if Black makes a mistake.The variations chosen for White in this approach are fairly simple to play, and easy to learn. I concentrated on the moves which are considered best for Black in various opening books and encyclopedias.